If not, head over to my business site, Fruition Designs, look over the designs, and order some. 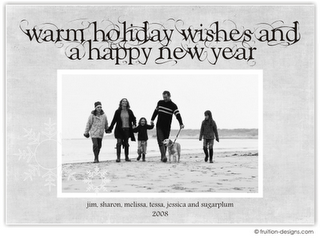 Mention that you read my blog and I’ll give you a 15% discount on printed Holiday Cards. My holiday cards are printed on 100% Recycled Bright White Cardstock. Order by next Monday to ensure enough time to get your cards in time to mail out before Christmas. Know someone who needs a blog makeover? Stumped on what to give a friend or wife who has everything? 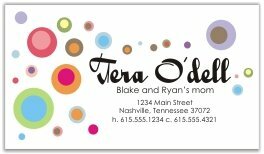 I bet they’d love some Mommy Cards or Blog Cards. 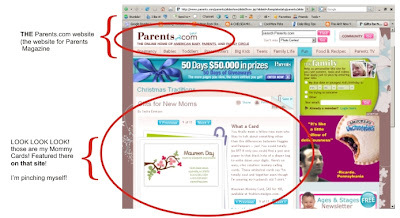 My Mommy Cards are the original Mommy Cards – often imitated, but only mine are still a Top Gift Pick by Parents.com. I am rolling out new Holiday Card and Mommy Card designs in the next couple of days. 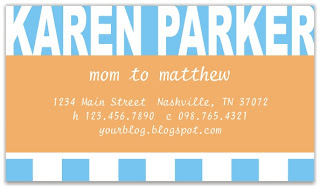 I will post them here and on my business blog, so be on the lookout. Wanna add these to your Christmas list? 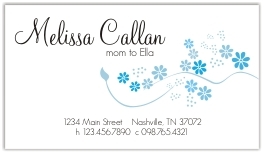 Remember – I am offering 15% off any Mommy Card order through August 15th. Just mention this blog when you order. You may order my cards here. Also, while my contest (for Dog Days of Summer) was not open to Canadian customers, I do ship to Canadian customers. The discount above is available for Canadian customers as well. What a fun fun time it was this week! “Thank you” to Shannon and “thank you” to all of you who entered my giveaway! I know I can’t expect all of you to keep coming around – though I wish you would! – But I look forward to the new readers I’ve gained through visiting and chatting. 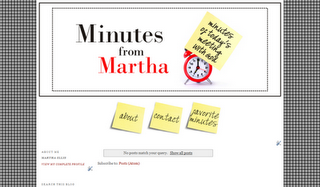 I hope some of you will stick around and take a look around my blog! ~ For those of you who did not win, you may order my cards here. 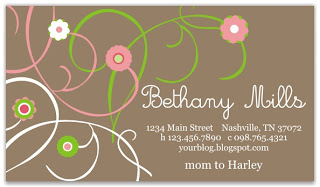 Mention my blog and you will receive 15% off any Mommy Card order through August 15th. Also, I am involved in giveaways regularly (and will be hosting my own as well), so be sure to bookmark my business blog for updates on giveaways I am involved in. ~ I do ship to Canadian customers. I just wasn’t able to for this particular contest… The discount above is available for Canadian customers as well. Now… on to the winner! Congratulations to Sara – comment #184! I will be emailing you shortly with the information I need in order to get started on your prize! Again ~ I thank you all for the interest in and lovely comments about my cards!